It’s good to be home! We had a great vacation, but there is nothing like a long trip to make you appreciate all the comforts of home. 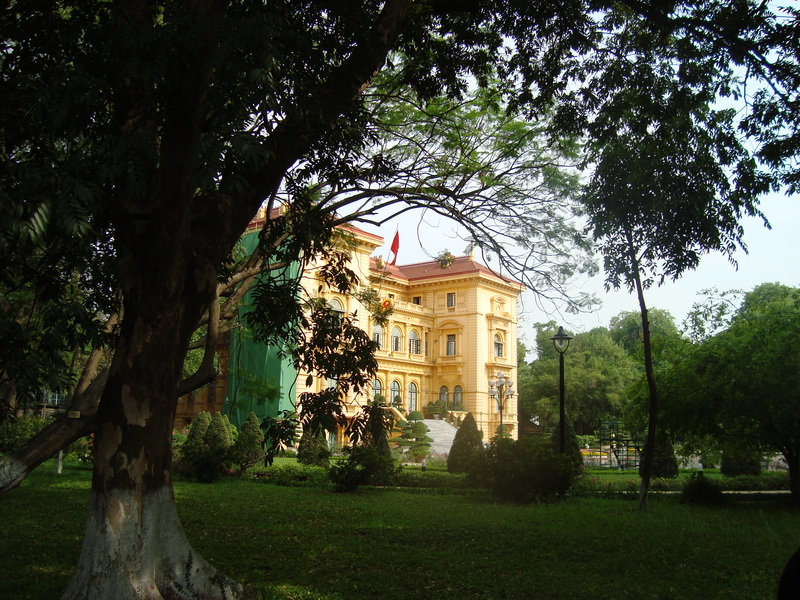 Hanoi – Bustling, culturally and historically rich, with amazing food! Halong Bay – Paco and I are not boat people. We both get seasick, and I was really skeptical about how the food and accommodations would be on a boat. (I swear I am not that picky, but the idea of spending three days on an unsafe/uncomfortable/unsanitary boat in a foreign country really freaks me out!) 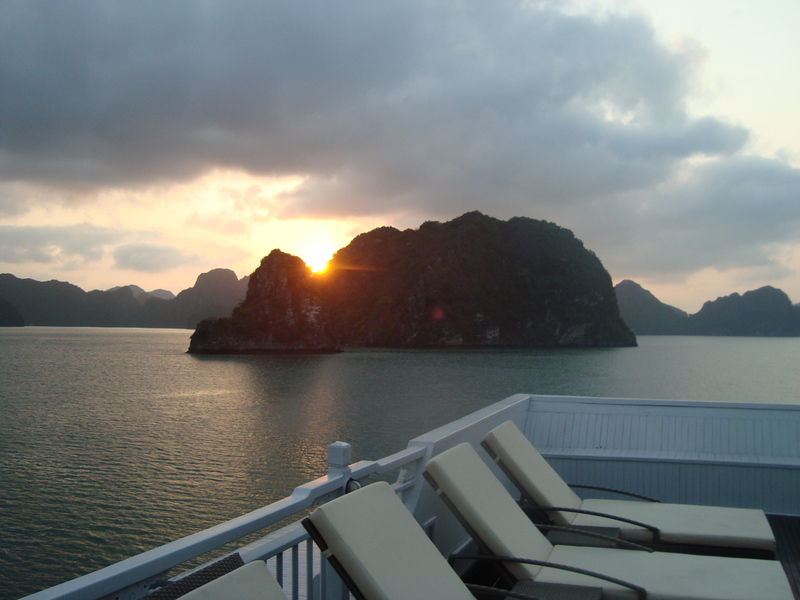 However, our hotel in Hanoi recommended Paradise Cruises, and we were so glad that they did. The food, service, and rooms were all lovely, and we wouldn’t have been able to have the same experience staying somewhere on shore. 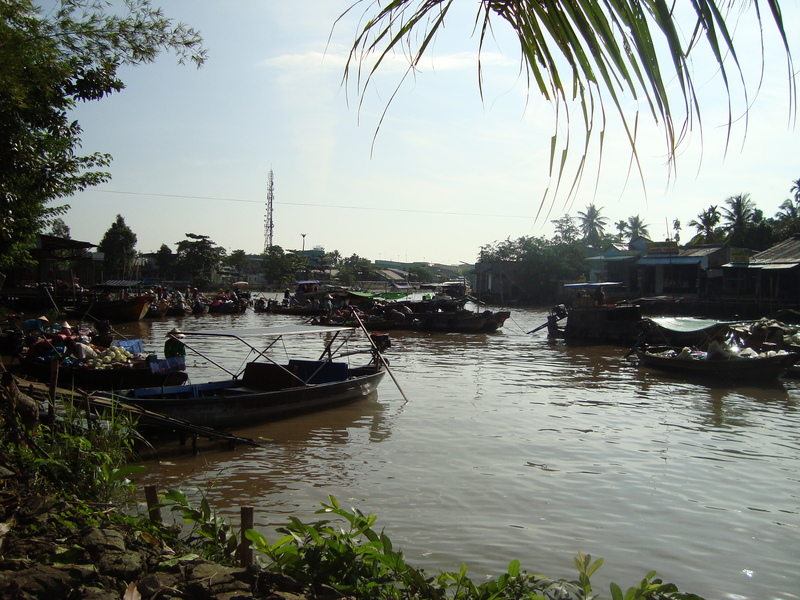 Can Tho (in the Mekong Delta) – I really wanted to see the floating markets in the Mekong Delta, so we flew down to Can Tho. Can Tho is a small, approachable city, and it had an awesome selection of street food! Our hotel had a very relaxing atmosphere and a lovely pool, so we really enjoyed the “break” between Hanoi and Saigon. The markets that we visited were busy with wholesalers selling their produce to vendors, and surprisingly untouristy. Can Tho was definitely one of the trip’s highlights. 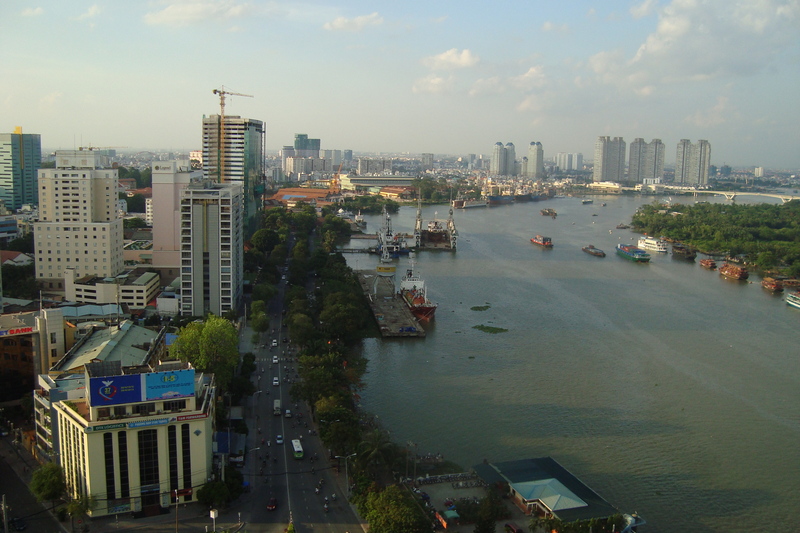 Ho Chi Minh City (Saigon) – Saigon seems to get a bad rap from travelers, who generally prefer Hanoi for its history and charm. Maybe we were just tired of Hanoi’s crowded streets and lack of sidewalks, but we really liked Saigon. There are sidewalks! The city is more modern than Hanoi which makes it less unique, but I happen to like the big, Asian cities I’ve visited (Hong Kong, Singapore, Bangkok), and modern features are a plus for me. I’m suffering from jet lag-induced insomnia, so I am going to try to catch some zzz’s before the sun rises. . .I have a separate post planned for the delicious food we encountered!